SAN FRANCISCO, Apr. 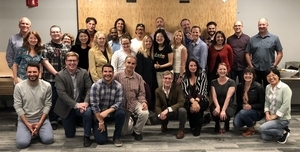 25 /CSRwire/ - VolunteerMatch, the web’s largest volunteer engagement network, reached an exciting milestone today: 20 years of connecting good people with good causes. April 25, 2018 marks 20 years since the release of VolunteerMatch 1.0. “In 1998, there were plenty of critics who thought people would never go online to find local volunteer opportunities. But we ignored the skeptics and since then have welcomed over 100 million people looking to make a difference in their community," says VolunteerMatch president Greg Baldwin, who has been with the organization since the beginning. "We are able to reach this milestone thanks to the dedication of passionate staff and a network of extraordinary supporters who have made the service what it is today,” adds Greg.